How I Became a Spy has easily became one of my favorite historical fiction stories. The young boy in the story, Bertie, never wanted the life that was about to be presented to him, BUT when a young woman goes missing, Bertie finds her journal - full of cryptic messages. Bertie is now fully involved in the mystery that includes ciphers, the Allied invasion, and spies . What I LOVE about this story is that it keeps you on your toes and wondering.I can only imagine how many of my students are going to love decoding all of the ciphers throughout the book. This is definitely a side of WWII I had never really thought of, nor have I ever read anything like this about WWII. I highly recommend this novel for your classrooms. It's definitely one I preordered immediately. Out Tuesday, February 12! Q: Tell us about your book, specifically the story behind the title. 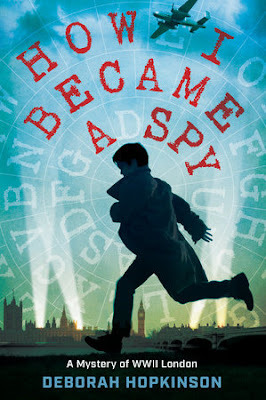 A: How I Became a Spy: A Mystery of World War II London is a middle grade spy thriller. It takes place in 1944, in the time leading up to the best-kept military secret ever: the location and date of the Allied invasion of Normandy. When Bertie Bradshaw discovers a missing secret agent’s coded notebook, he and his friends Eleanor and David must work together to decipher the contents, or the entire D-Day operation could be jeopardized. 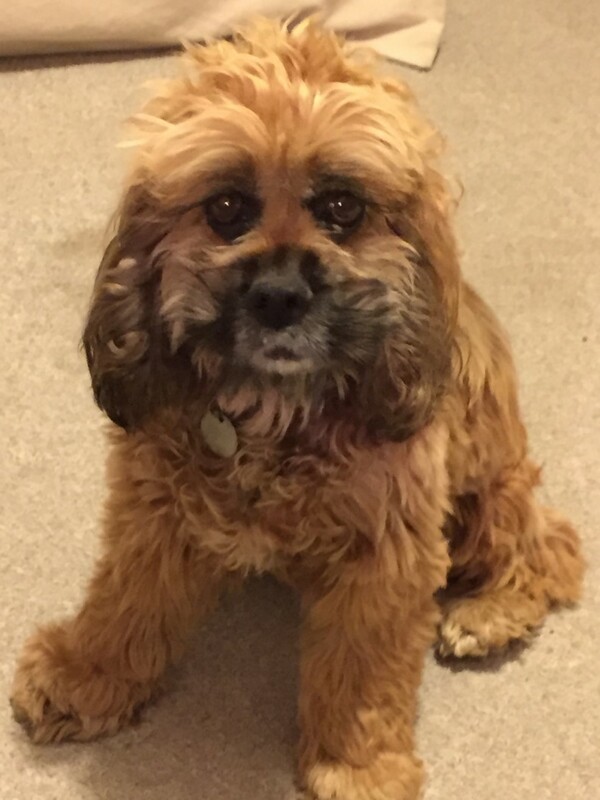 Luckily, they have the help of Bertie’s loyal spaniel, Little Roo. Q: Will you explain a little bit about your writing life? A: I always wanted to be a full-time author, but up until five years ago I also held a full-time job while writing on weekends. So I always tell students not to give up on your dreams, even if they take a long time to come true. These days, when I’m on deadline, I work at my desk (our old dining room table) about eight hours a day, seven days a week. Most of my school visit travel takes place in the spring. In 2019, I’ll be presenting to students in a half dozen states including my home state of Oregon, as well as Indiana, Alabama, Connecticut, California, Washington, and South Carolina. Q: What are some challenges unique to writing historical fiction stories? Nonfiction? A: I write both nonfiction and historical fiction. In fact, researching my nonfiction title, D-Day: The World War II Invasion that Changed History gave me the idea for Spy. And in 2020 I’ll publish another nonfiction book, Refugees and Survivors: Escaping the Nazis on the Kindertransport, which helped inform the character of David in Spy. In some ways, I find historical fiction more difficult. For instance, sometimes you put your characters in situations where you simply need to know the details: How long did an air raid siren blare for? Did kids really serve as messengers? What exactly was the food ration in the winter of 1944? I often find myself on wild goose chases tracking down tiny snippets of information. Q; What makes this book a perfect fit for middle grade classrooms? A: I incorporated a fair bit of history into SPY and we included a fair amount of background information in the back matter. I am hoping it will spark interest in D-Day, since June 2019 will be the 75th anniversary of that event. I like including aspects of STEAM and STEM into my books, so SPY has several practice cipher message for readers to decipher. A: As I like to tell students, writing about history means that I am always learning, and I love learning new things and reading stories about people of the past. I enjoy research and also, of course, meeting book friends of all ages. Q: How do you get started on your writing, and what advice would you give to middle grade students who are writing? A: I use various tricks to get started with my writing. I think each person can find goals that work for them. For instance, sometimes I set myself a small word count goal. The words will probably all have to be rewritten, but at least it’s a start! Other times, I might set a time goal. I’ll write for 30 minutes, then I can go for a short walk. But probably the best advice I have for middle grade students is 1. Keep reading; 2. Know that writing is hard for everyone and it doesn’t necessarily get easier, and that’s one reason it is challenging (and fun); and 3. Don’t give up! Q: What else would you like us to know? A: Well, anyone who reads How I Became a Spy might be interested to know that I actually do have two dogs. Brooklyn is the model for Hero, and Little Roo was inspired by my cocker spaniel, Little Rue.